Since last year, I’ve blogged about the dirty cops at the Montgomery County Auto Theft Task Force who launched a televised raid on an auto auction in Anderson, Texas, seizing 56 vehicles without first determining whether any of them were stolen. 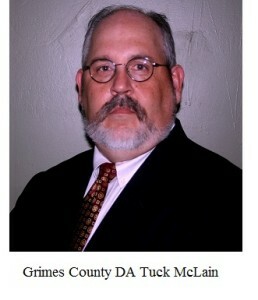 Rather than admit their mistake, task force agents and Grimes County District Attorney Tuck McLain tried to cover up the incident by framing my clients on organized crime charges. Now the whole thing is blowing up in their faces. Yesterday Grimes County District Judge Donald L. Kraemer ordered the cops to release all 56 vehicles because, as we’ve said all along, not one of them was stolen (nor were there any “paperwork problems” as task force agents had claimed). You may recall that task force commander Joe Sclider and his crew arrested Les Shipman, Jerry Williams, and Israel Curtis on charges of engaging in organized criminal activity, a second-degree felony punishable by up to 20 years in prison. Yesterday all charges were formally dismissed against Mr. Curtis, while Mr. Shipman and Mr. Williams pleaded no contest to a Class C misdemeanor charge of selling cars without a license. A Class C misdemeanor is the legal equivalent of a speeding ticket, punishable only by a fine of not more than $500. Mr. Curtis’s case is probably the most egregious and the most tragic. As I first reported in February, Mr. Curtis is a professional auctioneer who was hired to sell the 56 cars, he had never met Mr. Williams before the morning of the auction, and he had only met Mr. Shipman a month earlier when he signed a contract to serve as the auctioneer. * Mr. Curtis will testify that Lt. Sclider said he was arrested because the task force needed a third person in order to file an organized crime charge. In other words, Mr. Curtis showed up to do his job and ended up in jail with his business and reputation destroyed, all because some dirty cop wanted to file an organized crime charge against someone else. Yeah, and you thought you lived in a civilized country. The task force cops and Mr. McClain never had any evidence whatsoever that Mr. Curtis was involved in organized crime — and for that matter, they never had any evidence that Mr. Shipman and Mr. Williams were involved in organized crime — yet felony charges were left hanging over their heads for more than a year. Meanwhile, according to a witness, task force agents told people who bought cars from Mr. Shipman and Mr. Williams prior to the auction that they did not need to make their car payments because the cars might have been stolen. I can think of only one reason for that: the task force agents were trying to break Mr. Shipman financially so he could not fund his criminal defense or his federal civil rights lawsuit against the agents and Mr. McLain. My colleague John Quinn of Bryan has been handling the criminal cases, and he tells me that Lt. Sclider was not man enough to show up for the court hearing yesterday. Fortunately, John was able to cross-examine Lt. David Cook, another task force flunkie, and John says Lt. Cook had the audacity to threaten Mr. Shipman and Mr. Williams from the witness stand yesterday, claiming that he would arrest them again if they did not remove the 56 cars from the storage lot according to his explicit instructions. (It takes a special kind of bravado and a special kind of stupid to make threats while your words are being recorded by a court reporter). I have a message for David Cook: When I’m through with your deposition, you’ll be bleeding out of your ears. And then I intend to take everything that you own, as well as your badge, your gun, and your freedom. The Texas Rangers may have declined my request for an investigation, but frankly I don’t need them. I’ve hijacked grand juries before without any help from the Rangers (just ask Texas Attorney General Ken Paxton), so I’ll keep dumping evidence on the Grimes County Grand Jury until they indict you, Joe Sclider, and the rest of your goon squad. Meanwhile, if Tuck McLain resigns within the next 72 hours, I might be willing to go a little easier on him. If not, I plan to do for him what I did for former Robertson County District Attorney John Paschall. After we filed a federal lawsuit against Mr. McLain, Lt. Sclider, et al. 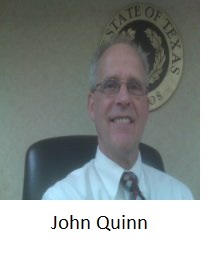 in March, Mr. McLain wisely recused himself from the criminal cases against Mr. Shipman, Mr. Williams, and Mr. Curtis, but not before he retaliated against John Quinn. During a subsequent teleconference, Judge Kraemer said he was thinking about appointing someone from the Montgomery County District Attorney’s Office as a special prosecutor. John objected, pointing out that the Montgomery County DA’s Office had conflicts of interest, e.g., the fact that Montgomery County Sheriff Tommy Gage, his deputies on the task force, and Montgomery County itself were (and are) defendants in the federal lawsuit. Judge Kraemer could have appointed special prosecutors from nearby Harris County (Houston) or Brazos County (Bryan / College Station), or anywhere else besides Montgomery County. Instead, he appointed Montgomery County Assistant DAs Joel Daniels and Brent Chappell as special prosecutors. While Mr. Daniels and Mr. Chappell deserve credit for finally dismissing the charges against Mr. Curtis and releasing the unlawfully seized cars, the Class C plea deal with Mr. Shipman and Mr. Williams was nothing more than an attempt to save face for Mr. McLain and the task force agents (and, potentially, to undermine the federal lawsuit against them). Mr. Shipman agreed to plead no contest because the special prosecutors were threatening to bring a new felony charge (i.e., tampering with a government record) if he did not accept the deal. Meanwhile, the special prosecutors informed John yesterday that they would oppose Mr. Curtis’s request to have his arrest expunged from the record, even though all charges against him were dismissed. Why? The new charge against Mr. Shipman would have been as bogus as the first, because John could prove that Mr. Shipman had nothing to do with the document that allegedly was altered. So maybe you’re thinking that Mr. Shipman should have kept fighting because the threatened charges were bogus, but that’s because you haven’t walked in his shoes. When government agents are telling your customers to stop paying you, when your business and reputation have been destroyed, and when you no longer have the resources to fight, sometimes it makes sense to accept a conviction for a crime that you did not commit. Remember that the next time you’re electing a district attorney. * An earlier version of this post incorrectly stated that Mr. Curtis had never met Mr. Shipman until the morning of the auction. See comment from Mr. Curtis below.